On July 24 twenty-six high-school students representing the tenth grade class from Sendai Ikuei Gakuen in Sendai, Miyagi Prefecture, held a concert at Scandinavia House to thank New Yorkers and the world for our support since the March 11, 2011 tragedy. 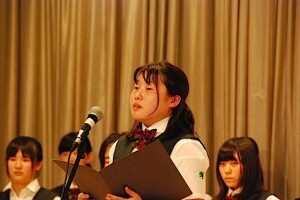 3.11 Survivors: 26 Student Voices from Tohoku, Japan! was an emotional – yet inspiring and uplifting – evening of songs and speeches. Masako Masuko and Yoshiya Morimoto, both 15 years old, served as moderators, describing in English how their lives were forever changed by the worst natural disaster to strike Japan in 140 years. 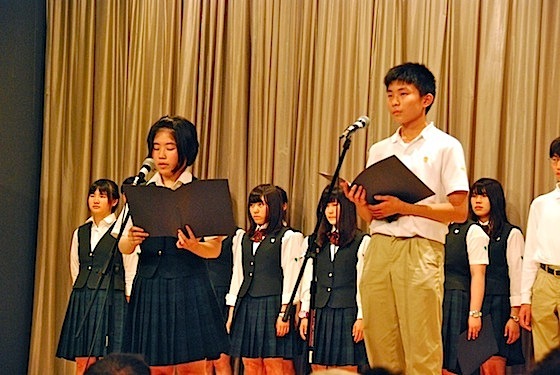 Led by Ayelet Fogel, a native New Yorker and a teacher at Sendai Ikuei Gakuen, and accompanied on piano by Fogel’s brother Daniel, the students performed several songs, including “For the Beauty of the Earth” and “We Shall Overcome.” Two students, Sahoko Baba and Gosei Arima, shared their personal experiences of March 11. 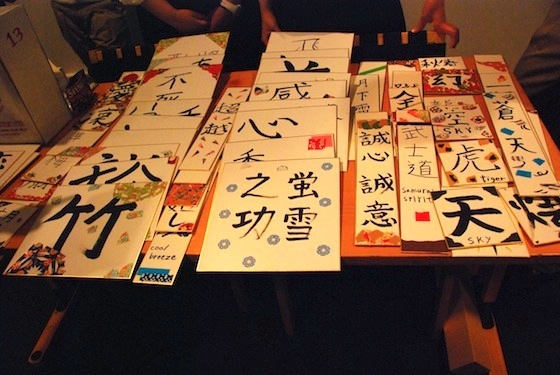 Like his classmates, Arima is grateful for the generosity of strangers from all over the world. “Without your help we would never have been able to recover so quickly,” he says. The survivors were joined by Akihito Obama, a shakuhachi player; Alice McDonald and Rachel Leiberman, students from Connecticut who sang two songs, “I’ll Be There” and “Umbrella,” to show their support; the dance troupe Yosakoi Dance Project 10tecomai; and AK Akemi Kakihara, a New York-based Japanese singer who was one of the event’s organizers. AK and fellow organizer Hiroshi Kono of Mar Creation, Inc. are no strangers to Japan earthquake and tsunami relief. 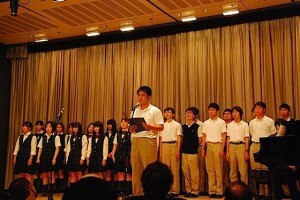 AK has organized several fundraisers in New York and frequently visits Northeastern Japan to visit schools such as Sendai Ikuei Gakuen, and Kono is one of the forces behind j-Summit New York, a concert series that showcases local bands while collecting donations earmarked for the Japanese Consulate’s recovery efforts. AK’s group, JP Girls Save Japan with Your Love, sold wrapping paper featuring drawings made by Japanese elementary school children for whom AK performed last year. Mariko Osanai of Love Save Japan sold T-shirts and bags with the Love Save Japan logo, designed by New York-based Japanese artist Pesu. 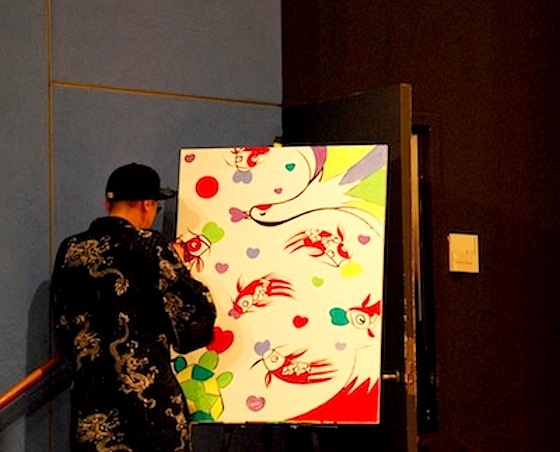 Pesu also did live painting during the concert, and that painting was auctioned for $500 at the end of the evening. A portion of the donations from the 3.11 Survivors concert went to Make the Heaven Megumi Japan, a charity in Ishinomaki, and to Harlem Children’s Zone. Twenty-six students from Tohoku, Japan, came to New York to thank us for our support, but we are the ones who benefitted from their presence. Each of the children is a true survivor; each of their stories is heartbreaking but inspiring.